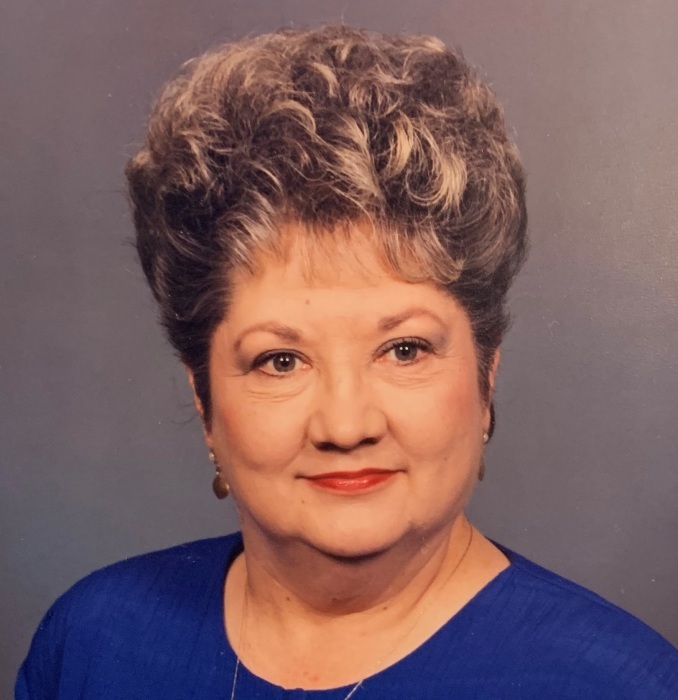 Carol Ann Evans Richard, a resident of Baton Rouge passed away December 2, 2018, at Our Lady of the Lake Regional Medical Center at the age of 79. She was born in Baton Rouge on February 12, 1939. She is survived by her children, Keith Richard (Carol Ann Monjure), Karen Fontenot (Bret Fontenot), and Kraig Richard (June Vance), grandchildren, Kyle Joseph Butler (Christi Hines), Christopher Ryan Butler (Lynsy Grimmer), and Cade William Butler, step-grandchildren, Anthony Marc Vance (Allie) and Shawn Dupree, great-grandchildren, Nolan Butler, Makayla and Katie, sisters, Madge Moreau and Carmen Peay, brother, Bill Evans, former husband, Buddy Richard, and numerous nieces and nephews. She is preceded in death by her parents, Hazel Wilkinson Evans and William Alfred Evans, Sr., brother, William Alfred Evans, Jr., and mother-in-law, Inez Dupuy Richard. Mrs. Richard worked for Louisiana State Police Bureau of Criminal Identification from July 1, 1971, to May 31, 1999. She also worked for the Louisiana Real Estate Commission from January 1, 2002, until she retired on May 6, 2011, and then continued to work part-time until her death. She was Past Matron of Myrtle Celeste Chapter 231 Order of the Eastern Star, a member of Broadmoor United Methodist Church and served as a Greeter since 1994, served as secretary and treasurer for the Louisiana Division of the International Association for Identification from 1985-2004, she was also a member of the International Association for Identification, the Arkansas Division of the International Association for Identification, and the Louisiana Association of Scientific Crime Investigators. She leaves behind her best friend for over 50 years, Sibyl Guidry. Visitation will be held at Resthaven Funeral Home in Baton Rouge on Thursday, December 6, 2018, from 6:00pm until 9:00pm. Visitation will continue on Friday from 9:00am until the funeral service at 11:00am in the funeral home chapel. Interment will follow at the Resthaven Gardens of Memory. In lieu of flowers donations may be made to St. Jude Children’s Research Hospital at www.stjude.org.